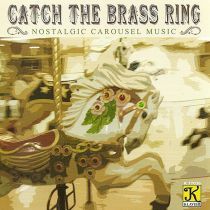 IHG® Rewards Club - Music - n/a Not Applicable,Irving Berlin,Walter Donaldson,Billy Rose,Harry J. Lincoln,John Valentine Eppel,Jaromir Vejvoda,Frank Silver,Con Conrad,Thomas M. Carter,Gene Austin,Anonymous,Harry M. Woods,Frank Bjorn,George Horther,Traditional,Harry Warren,Dave Dreye - Band Organ Arrangements - Berlin, I. / Donaldson, W. / Rose, B. / Lincoln, H. / Eppel, J.V. / Vejvoda, J. / Silver, F.
6. Beer Barrel Polka, "Roll Out The Barrel"